The Watch UI looks unintuitive and overly complicated. There are so many things you can do, too many things. I wouldn’t be surprised if they announce that you can read magazines on it, because they really seem to believe people want to do things like that on a very very tiny display. There isn’t a killer feature. Perhaps it’s its design, but it is not really appealing to me as some of the circular smartwatches. For whom is this? 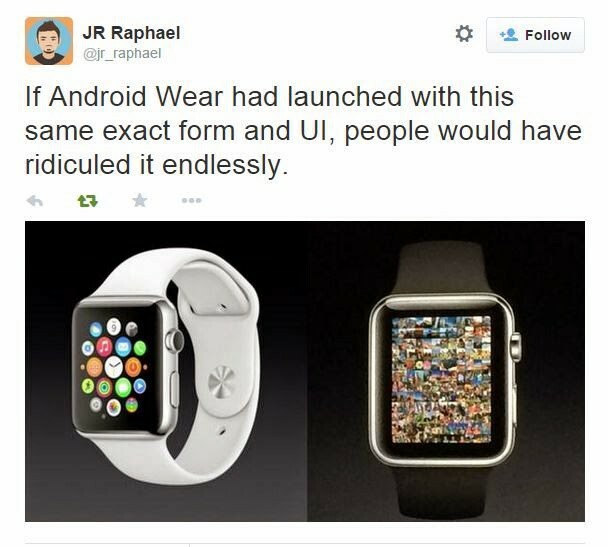 This is a question that could be asked about smartwatches in general however. Sure, eventually everything is going to be smart, but I’m waiting for a device that has great battery life. I might be even more concerned about my phones battery, since the watch needs to be connected to it to actually do any of its cool things. Apple felt the Watch should be more than a notification device and they understand that the way a watch looks is as important as what it does. But it makes no sense to view photo albums on such a small display. I think Jony Ive isn’t as much a UI designer as he is an industrial designer. Apple is heavily focused on design. The new MacBook looks stunning, but based on the first hands-on experiences and internet-opinions it doesn’t come without compromises. The keyboard is not as great as Apple says it is. People say the same thing about the trackpad. It only comes with one (one-size-fits-all) port. And the processor isn’t that fast for such an expensive machine. I don’t know how Apple internally works, but I could imagine Ive and his team come up with this great design and the engineers start working to make sure everything fits into the body. And they deliver absolutely outstanding work. 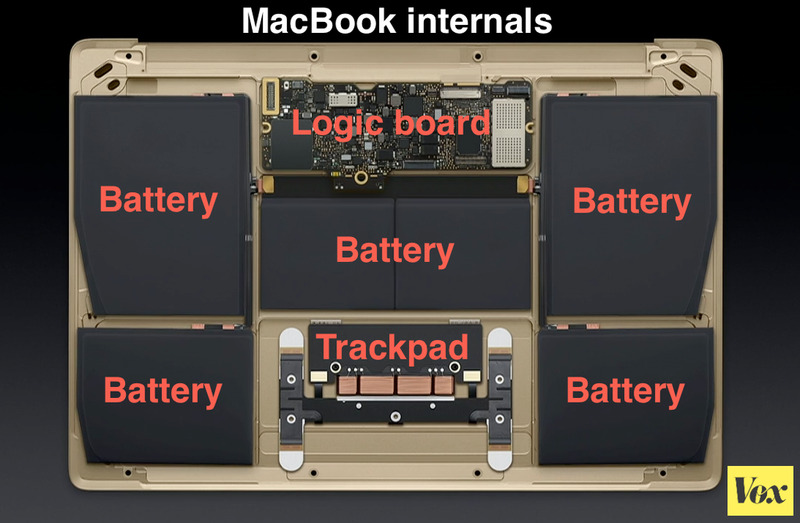 The battery might actually be my favorite thing about the new MacBook. Can you imagine what kind of challenges they face, with Apple’s trend to make everything thinner each year? Perhaps they went too far this time. Car manufactures have these amazing concept cars that will never be available on the market. Both the MacBook and the Watch are Apple’s concept cars. What kind of company is Apple? Is it a design company? Is it a marketing company? Is it a software company? Is it a hardware company? I think it makes art. Everything they make is visually stunning and therefore you can even find it in museums. This is a design-first approach that not many companies are able to mimic. Sure, both the MacBook and the Watch are first-generation products, but they are too expensive to be test objects. Art is meant to be looked at and maybe that’s also the case with Apple’s newest products.